This month we won a Silver Ermis Award in the ‘Digital’ category, ‘Financial Websites’ for our interactive microsite, entitled; ‘The Compendium of Savings’. 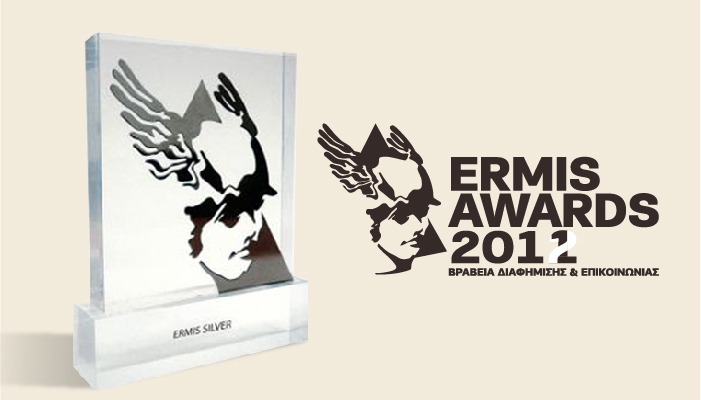 The Ermis Awards is the only institution awarding creativity within the field of communication in Greece and Cyprus and is organized by the Hellenic Association of Advertising and Communications for the past ten years. It is the highlight of the industry both in Greece and Cyprus, and this year was even more interesting, because after last year’s cancellation of awards, agencies and campaigns competed amongst two years worth of work. Winning awards manifests when agency and client share the same goal and the work produced meets certain criteria such as; relevance, creativity, differentiation, functionality, passion and professionalism. The award winning microsite informed the public about five particular savings accounts offered by the Bank of Cyprus. Our microsite was media-rich in that it expressed and most importantly explained the details and benefits of each of the five accounts, through animation, video and audio. Besides this particular success, Byte’s work distinguished itself and was shortlisted in another three categories; The ‘Can you Handle it?’ campaign in the ‘Integrated Campaigns’ category, the augmented reality campaign ‘Samsung Play Galaxy’ in the category, ‘Other Interactive Solutions’ and the corporate social responsibility viral campaign, ‘What If…’, in the category ‘Viral’. ΟΙ ΕΥΚΟΛΙΕΣ ΚΑΝΟΥΝ ΠΙΟ ΔΥΣΚΟΛΗ ΤΗ ΖΩΗ ΜΑΣ. © 2019 Byte | The Digital Agency.